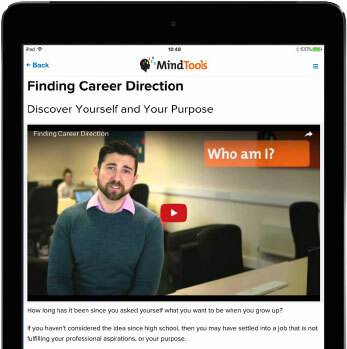 With the Mind Tools app, you’ll gain access to a wide range of bite-sized, career-enhancing resources, so you can learn the essential skills needed to excel in your career, wherever and whenever it suits you! In today’s fast-paced, digital-driven society, learning is no longer limited to classrooms or lecture halls. From your daily commute to the few spare moments you have before your next meeting, our fun and inspirational app is here to make learning quick, easy and accessible. 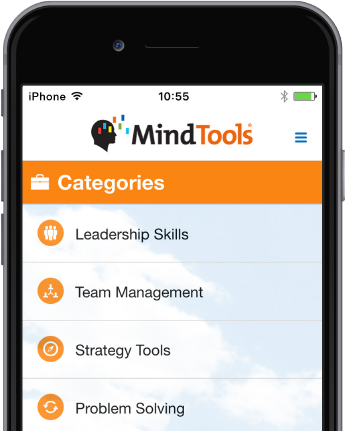 So, whether you’re new to Mind Tools and have a particular work-related challenge you need to solve, or you’re a long-standing Mind Tools member working through your personal learning plan, our updated app will allow you to learn on the go, at just the touch of a button! You’ll find everything you need in a couple of taps. Simply choose the skill that you want to work on from the Key Skills toolkit to access the most relevant resources for your situation! Every training resource explains how to develop your skills in plain, simple language and most can be mastered in under 30 minutes. Perfect for those spare few moments while you’re waiting to go into a meeting, or on the train. In a rush? Check out the compressed summaries at the end of each topic. These give you the key takeaways that you'll need to improve a specific business skill if you don’t have time for the detail. Whether you’re on the hunt for a specific article or want to learn more about a certain topic, the search bar can help you to find whatever you’re looking for, quickly and easily. To help you focus your learning, the app lets you create a Personal Learning Plan, making sure you get the most relevant Mind Tools resources. Whether you’re on your commute or at the gym, your personalized Mind Tools journey can be accessed anywhere, anytime! 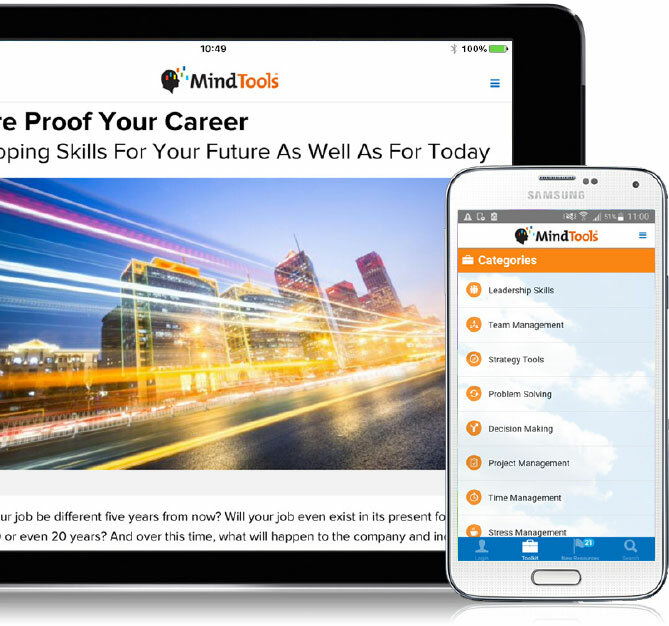 Download the FREE Mind Tools app and carry our collection of bite-sized learning tools and resources in your pocket.